Little Frieda comes from a race of beings whose purpose in the cosmos is to smoke cigars and, in their spare time, lend a hand, when possible, to humans who have gotten themselves into one kind of jam or another. When Jack Flanders came to Inverness and stumbled into the Fourth Tower, he embarked on a crash course of life lessons filled with sticky jams of all kinds. Little Frieda became his help-mate, keeping Jack alive and learning. In addition to last minute, death-defying rescues, her mission included providing Jack with instruction on living a fulfilling life, but because they were constantly running away from dragons and things, she never had a chance to lay it all out. 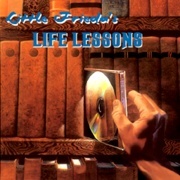 Now she does, in Little Frieda’s Life Lessons. Drawing on her unusual skills and guided by the wisdom of her ancestors (including her poker-playing uncle, Lenny), the strange-eyed one with the pig-tails brings a new approach to the concept of “self-help”, an approach that can best be summed up in her own words: “We’re all alone together, so help yourself. I need it!” This one’s short, but sweet. ​​​For fans of radio dramatization, sci fi radio drama, audio theater, radio drama stories, audio drama, and radio drama.